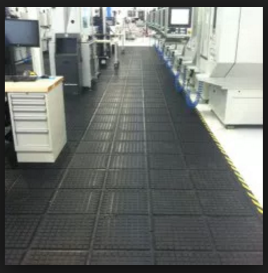 Modular Comfort, Create "YOUR" floor! You need Anti Fatigue? Do you want easy cleanup? Is Durability important? 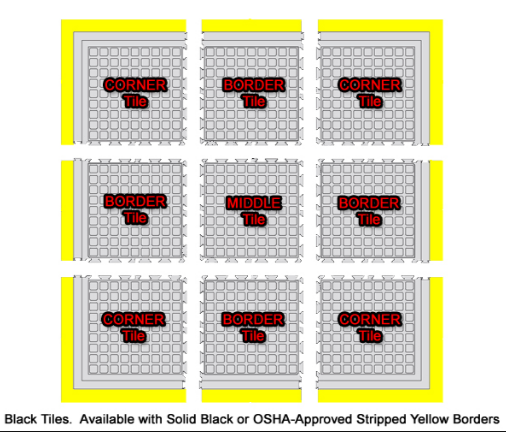 Size, do you have more area to cover than just a regular mat size (3x5, etc)? 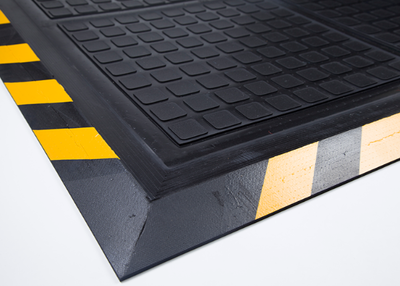 How about integrating other types of mats that could serve another needs? Yes, Hog Heaven II covers all the bases! 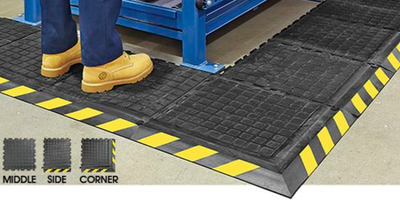 Imagine you have an area that needs fatigue relief, but your people move around and a regular size mat doesn't fit. You don't want them going from mat to mat and dealing with trip hazards. 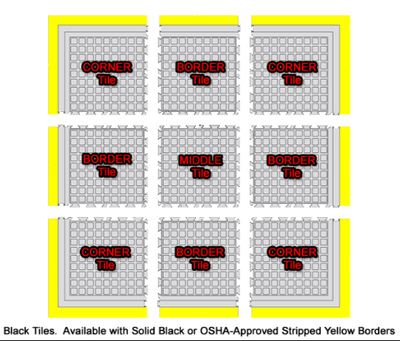 Hog Heaven Modular creates a floor not just a mat (it could be just a mat if needed), the modular design allows you to create any width or length and yes even around corners, L shaped area's, what ever size or shape this fits it, and it's easy to trim. 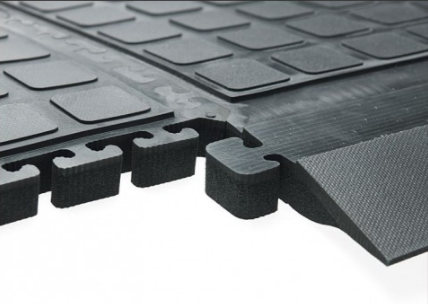 There is a harder version of the Hog Heaven mat for carts to roll over, there is a Grit for superior traction, there is even a different mat all together, Comfort Scrape HD Modular Tile, that connects to Hog Heaven. 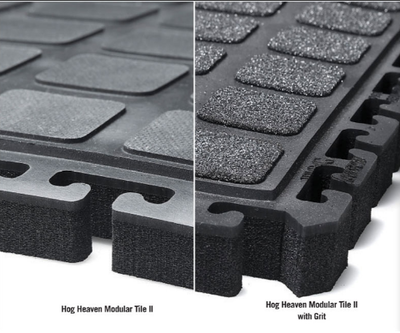 All the versions, Grit, Cart Tile, even the Comfort tiles seamlessly connect with Hog Heaven II. 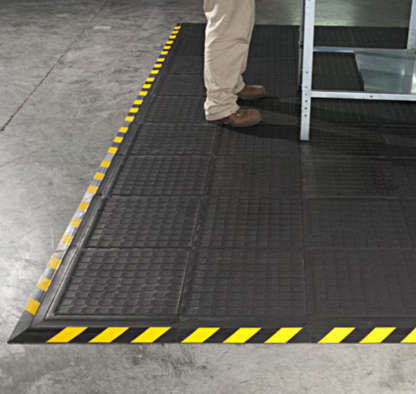 Hog Heaven comes with Yellow safety strips or solid black.